Lot of good FB players in Tennessee these days and they mostly want to play somewhere else!! that'll start changing this year....mark it. The 6-foot-4, 280-pound tackle was previously invited to Saturday’s Junior Day, but Rybka wasn’t sure he was going to come. Then he got an offer from the Vols, making it an easy decision. “It was up in the air if I was going to go or not, but then they offered me that Friday, so I was like, ‘I’m going to go see what it’s like.’ I went up there and just loved it,” he said. Rybka had visited Tennessee once before, attending the Missouri game last fall. He didn’t get an opportunity to speak with any coaches then, though, so on Saturday he used the time to meet Pruitt and coach Tracy Rocker. “They’re very genuine,” Rybka said of the visit. Under Rocker and Pruitt, the Vols are seeking versatile defensive lineman, capable of playing as a 3i, 5 or 6-technique. Rybka believes that suits his skill-set as well, since he lines up at multiple spots for Dickson County. Rybka grew up a big Ohio State fan, and an offer from the Buckeyes would be a dream come true. While he waits on that, several more schools appear set to enter the picture soon. “I’m still kind of shocked that I’ve gotten six offers just in the last week,” he said. Rybka plans to visit Tennessee again for a spring practice and visit Va. Tech and Memphis in the coming weeks. Awesome message to tell these kids. After the last decade, UT has to fight this kind of junk from instate guys now which they never had to from the mid 1980s through the mid 2000s. "Rybka grew up a big Ohio State fan, and an offer from the Buckeyes would be a dream come true. While he waits on that, several more schools appear set to enter the picture soon." He told 247 that an offer from OSU would be hard to turn down. He grew up in middle TN, but has relatives in Ohio. I'm 6'5 in my boots and standing near him he is every bit of it. The 6-foot-4, 280-pound Rybka, who now holds offers from at least 15 schools, said he's also hoping to visit Georgia "soon," although he has yet to receive an offer from the Bulldogs.He said Tennessee, Kentucky and Oregon are the three schools talking with him most frequently. Rybka said he has continued to hear plenty from the Vols since they gave him his second SEC offer more than six weeks ago. He said he talks with them about "every other day. "Tennessee coach Jeremy Pruitt, defensive line coach Tracy Rocker, running backs coach David Johnson and Derrick Ansley, the Vols' new defensive coordinator and defensive backs coach, are among the members of their staff who recently have stayed in contact with Rybka.In addition to his visit to Tennessee on Feb. 2, he attended the Vols' home finale Nov. 17 against Missouri. He said they told him during his latest trip to Knoxville "that I could be a big factor for the team" and that he "could come play there. "“I mean, I haven’t really visited all my other schools. But I visited that one and I liked it," Rybka said at the time. "I’m not sure if I’m going to go there or not, but I liked it. I liked the energy and the vibes and stuff.”Alabama, Oklahoma, Oregon, Mississippi State, Kentucky, Virginia Tech, West Virginia, North Carolina and Georgia Tech are among the other schools pursuing him. He landed an offer from Alabama on March 2 while visiting the Crimson Tide.Rybka is ranked by 247Sports as the No. 393 overall prospect and No. 36 defensive tackle in the 2020 class and the No. 12 junior from the state of Tennessee. In the industry-generated 247Sports Composite, he's ranked the No. 556 overall player and No. 49 defensive tackle in the 2020 class. but but in state...we have to get them all. if we don't we're a failure. they all want to go to TN, we just don't go hard after 'em. meh. this is why in state recruiting is a farse for us. go after who you want, no matter where they are. 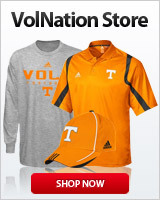 if they happen to be born and bred big orange, GREAT. if not, they can be VFL's whenn they graduate or got the NFL. it takes two to have a relationship......as soon as he goes to OSU, the dolts all be like " another in state miss WTF pruitt?". I think it just reaffirms the fact that winning cures everything. Young guys these days seem to value winning mire than anything. But in the end, get the best players you can from wherever you can. In state recruiting is not a big deal imo. This guy, Jay Hardy, and Omari Thomas are probably the 3 in state D-linemen that the staff is going after the most right now. I don’t think so. Has the Zion logue feel but we end up on top at the end. Has big offers. Probably gonna wait a little longer. I really liked this kid the first day it was posted about him getting an offer. Would be nice to eventually land him. Imagine he'll get a ton of camp invites this summer.